Gas. If you drive a vehicle, chances are, you need gas to keep your car running. Though we live in an age where electric cars are becoming more popular, they are not very common to the average consumer. Most of us still have to fill up at the good old gas pump once a week or more, depending on how much driving you do every week. Gas prices remain steady as of now, but you never know when there might be a big jump in prices. Depending on how much you spend at the pump each week, gas can really put a hole in your wallet. 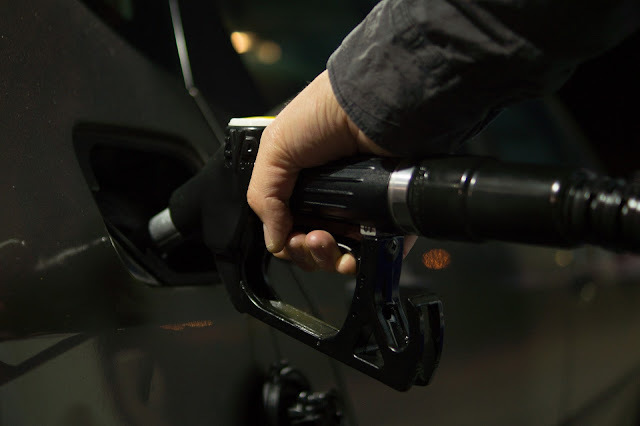 Budgeting for fill-ups is a smart idea, and there are even some measures you can take to save a little money at the gas pump. Let's take a look. The obvious choice to help you save at the gas pump is to drive less often. This might not be a practical solution for you, depending on where you live and where you need to go. If you live in a city that offers mass or public transit, take advantage of those offerings. Walk to local markets and stores, rather than drive. If possible, carpool with co-workers or friends. Taking a walk or riding a bike will not only save you money, it'll give your health an overall boost. Have a lead foot? Not so fast- slowing down when driving can actually save you money! If you consistently decrease your speed when driving, you'll also be decreasing your fuel economy, which can wind up in big time-saving at the gas pump over time. It's one of the easiest ways to save a little extra! Are you a pack-rat when it comes to what you keep in your car? It's easy to let things pile up in the backseat, the trunk, or even on the floor of the car and let those things sit there for weeks or months at a time. Did you know that extra junk in the car adds extra weight, and extra weight in the car means that it has to burn more fuel to keep up? Keeping your car cleaned out and clear of unnecessary items can save you a few bucks here and there. That's right- turn off your A/C, and open the windows. When traveling at reduced or low speeds, you'll save on fuel economy if you turn off the A/C and open the windows. Of course, there are certain times of year where this may be impractical. Keep a personal misting fan with you and an extra shirt, as well as an antiperspirant, so you can quickly freshen up if you become too sweaty in the car. If you're driving a large vehicle, you're probably spending a lot to fill up each week. You can immediately reduce your cost at the pump by downsizing to a smaller vehicle or even moving to a hybrid vehicle. Small cars today are incredibly safe, and offer plenty of room for comfort. Choose a car that offers what you need according to looks, space, and overall feel, with the compromise of being a bit smaller than what you might be used to. Chances are, you'll love the savings so much, you'll hardly notice the difference in vehicle size. What are some of the ways you save money at the gas pump? This post brought to you by Roberts Subaru.